Like most, I remember exactly where I was when I heard the news. I was at the Mississippi Workers' Compensation Commission, getting a settlement approved. I don't remember which case it was. I don't remember which commissioner I met with to approve the settlement. I only remember the secretary coming out and telling me and the other lawyers present that New York had suffered a terrorist attack. 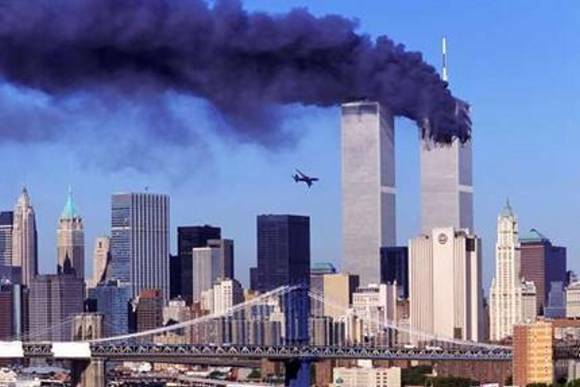 Two planes had been flown into the World Trade Center. The memories of that day and the days that followed are clear, but eerily distant. I remember the oddness of going outside and hearing no planes overhead. At all. I remember the anger and the disgust, and my own personal sin -- the desire to see the people who planned this dead. Their families dead. Their countries destroyed. I doubt I've ever been as resolute in wishing harm on other human beings as I was that day and in the weeks and months that followed. These people were evil, and they deserved to die. I conveniently overlooked the fact that if I was to measure myself by God's standard, I am evil too, and I also deserve to die. I still pray for the grace to overcome my self-righteousness and forgive my neighbor. The country has moved on in large measure, and we have returned to the polarizing bickering and senseless partisan fighting we had in the years prior to 9/11. But it changed everything for me. I am no longer content to speak of political "opponents" as if they were as evil as the terrorists, enemies who need to be stopped at all cost. I am no longer inclined to view politics as a game where there are good guys and bad guys. I am still critical of our government and the politicians who run it, but I refused from that day forward to engage in the kind of politics that views politicians as either moral giants trying to save the country (if they agree with me) or as despots bent on the destruction of our Republic (if they don't). I fail in that quite frequently, but it is the standard to which I now hold myself. I have refused to vote for more than one politician I otherwise intended to vote for on the sole basis that they lied about their opponent and painted them as an enemy of the Republic. That includes the last two gubernatorial elections here in Georgia. I also have a different appreciation for world politics. I was ambivalent about Middle East politics on 9/10/11. The only thing I knew about it was how we went over and mopped the floor with Iraq in the early 1990s, and before that how we bombed Libya into the stone age back in the mid '80s. America! **** yeah! By 9/12/11 I was very much interested, and humbled. I was no longer so arrogant to think we could afford to overlook both the radicals in the Middle East and, more to the point, our own policies that breed radicalism. I became a much greater proponent of green energy and ending our dependence on foreign oil. I also learned quite a lot in the years since about not only Islamic radicalism in the Middle East, but Christianity as well. One thing I learned is that Islamic countries aren't the only ones that persecute Christians. Another is that even under persecution, Christian communities still survive and do quite well in Islamic countries. Our Patriarchate, for example, is currently located in Damascus, Syria. Our parish today did not have a "9/11 Service." The Orthodox Church doesn't really operate that way. We celebrated the appointed feast of the day, which is the Leavetaking of the Nativity of the Theotokos. We did, however, include those who lost their lives on 9/11/01 in the prayers of the Church, and at the request of our Metropolitan we prayed the Trisagion Service for the departed. May their memory be eternal.